Soak 100g Kabuli Chana (White chickpeas) overnight. Cook and keep aside. Heat 3tbsp oil, fry 2 medium size chopped onions till golden brown. Add ½ tbsp Aachi Coriander Powder, Aachi Chilli Powder. 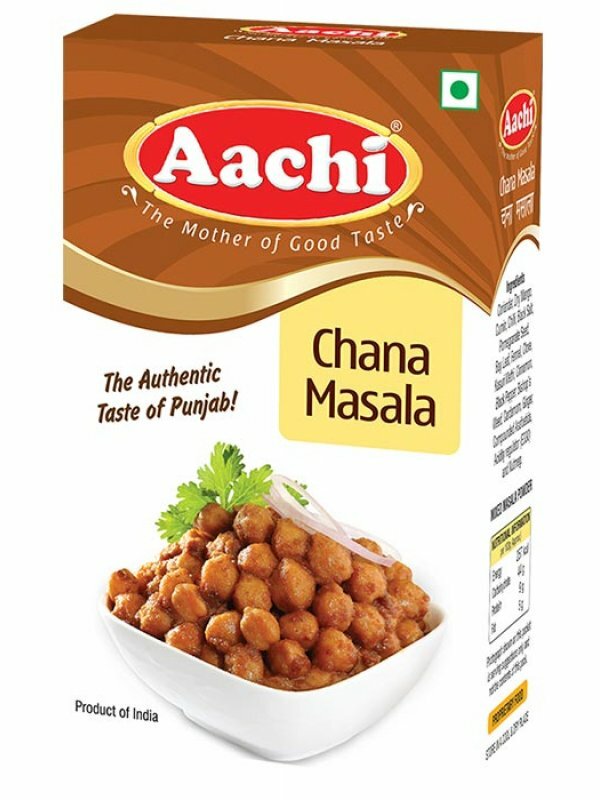 Add 1 tbsp Aachi Channa Masala and fry for 3 minutes on a low flame. Mix in 1 medium size chopped tomato, slit green chillies and ½ inch finely sliced ginger. Add boiled chana, salt and cook for 5 minutes. For added flavor, add Aachi Chaat Masala.